1) How do you thing Ken gets inspired? 4) What does the CRICUT EXPLORE's journey remind ken of? In my opinion crafting and coffee/tea go hand in hand. 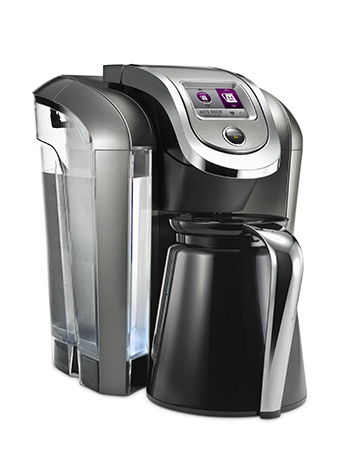 I would be lost without my Keurig, so for many of you this review I am sure could be vital. 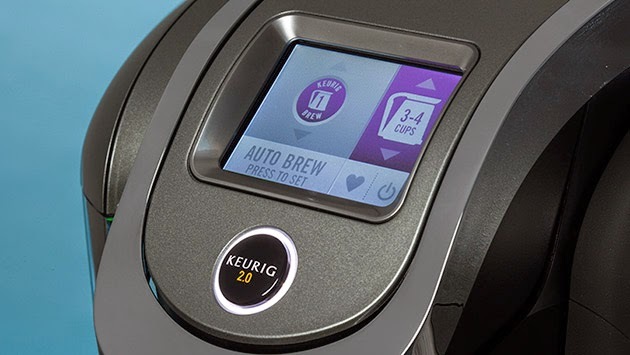 LOOKING FOR A WAY TO BREW YOUR OWN COFFEE IN THE KEURIG 2.0??? So as you can tell I was very excited to see Keurig was releasing a new machine. 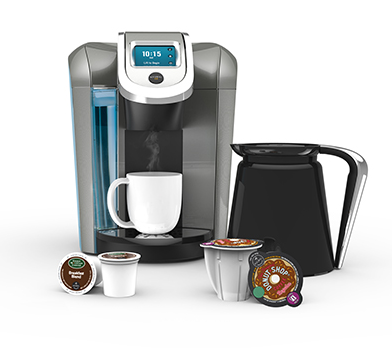 I have already had their original KEURIG MACHINE, KEURIG VUE and the CUISINART KEURIG MACHINE. So it was natural to upgrade to the KEURIG 2.0. 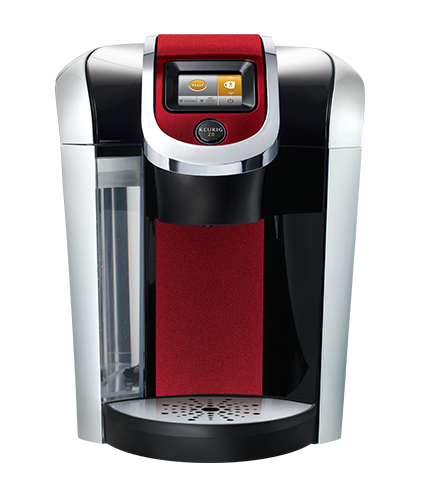 As soon as this product debut a lot of people were upset since this product will only accept APPROVED KEURIG K-CUPS. 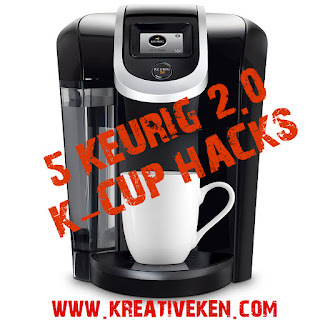 If you watch my video you will see that if you try to use a third party K-cup the machine actually scans the cup and tells you that it is not an approved K-cup and you are NOT ABLE to use it. Well of course this was not well received by the public and was the main reason I WAS NOT going to buy it. HOWEVER, I have found a way to FOOL the system into using ANY K-CUP and now I can enjoy any beverage I would like!!! In the video I show you how!!! This machine also offers carafes which is a HUGE upgrade. I have had many parties at my house and it takes forever to make 8 single serve cups of coffee after dinner for my guests. Now I can brew a carafe of coffee up to 32 oz in this mating in about 2 minutes. Now keep in mind the differences in water storage.....the different models have different capacities. Refer to the picture above to see how much can hold. The model That i choose can hold 80 oz. So make sure you peeps check out this machine. Overall I think this machine is well worth the upgrade as long as you use the trick is show you to get around the registration marks of the K-Cups. 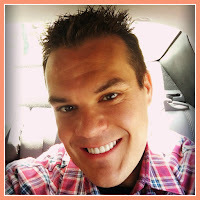 Thanks for taking a look at todays blog entry. Come back soon and if you are not a subscriber to the blog make sure to hit subscribe now! 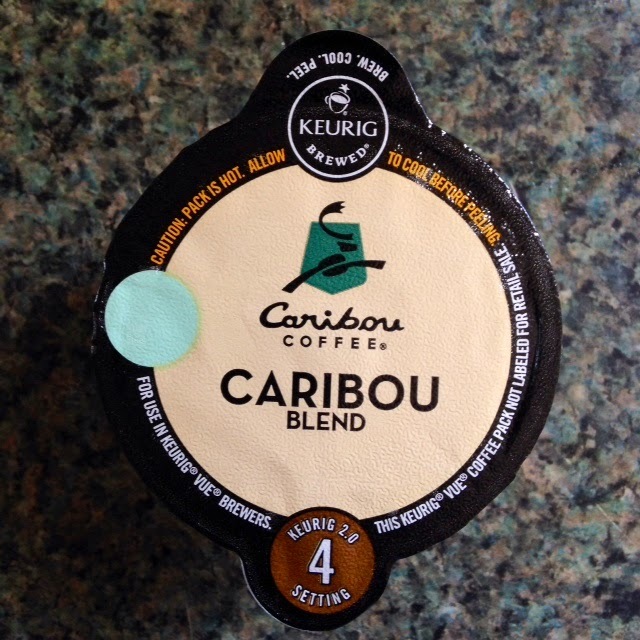 So one of my YOUTUBE VIEWERS sent me the above photo showing the new KEURIG VUE K-cups. 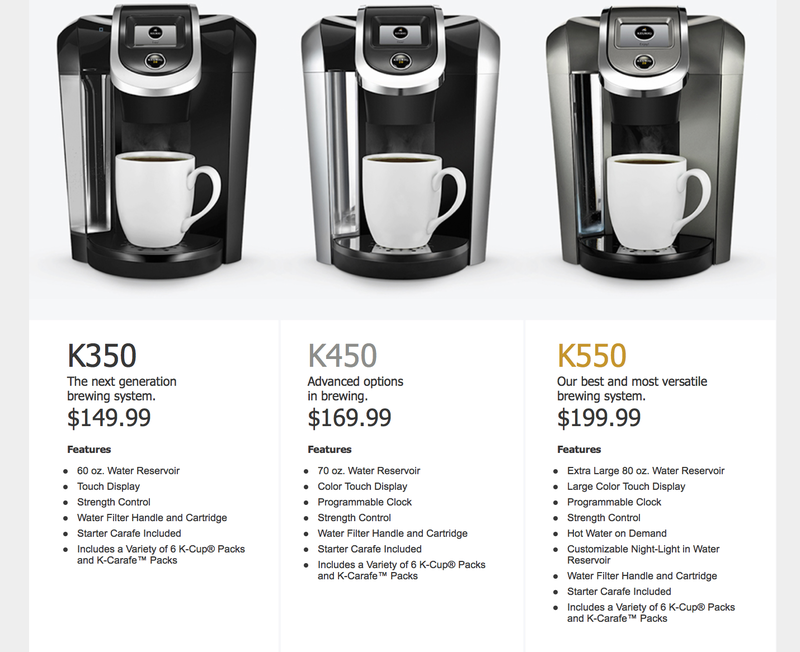 As you can see these NEW KEURIG VUE K-cups look a lot like the K-Carafe Cups. They have the green registration dots and now they have a KEURIG 2.0 setting 4 logo at the bottom!! 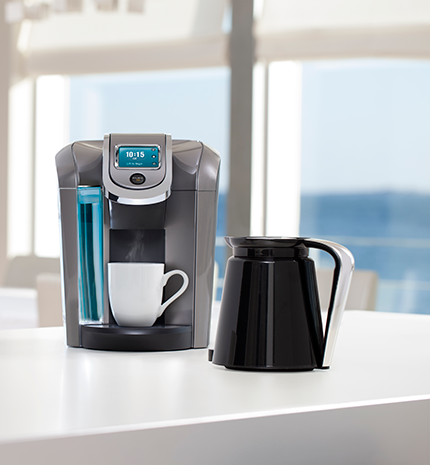 These cups will unlock the special menu that on your KEURIG 2.0 that will allow you to brew MORE coffee. THIS IS HUGE for me since 10 oz is NEVER enough. I am excited to see the other settings that they release for the KEURIG 2.0 machines.  Hello & Welcome To Ken's Kreations! This page and posts may contain affiliate links. If you purchase a product using the link I may receive a small commission. 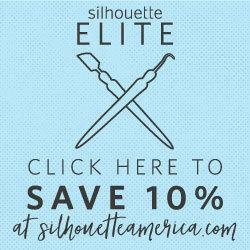 I only participate in affiliate programs for products that I use.